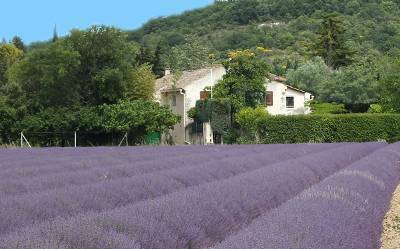 Ever since Peter Mayle's "A Year in Provence" made it into the international best-sellers list, Provence, the south-eastern region of continental France, has held a special fascination for travellers from all over the world. ; but to suggest that Mayle somehow "discovered" or even "rediscovered" Provence, and put it back on the map, would be a serious overestimation of this book. The book and TV series that followed merely portrayed, in a whimsical fashion, the life of a French village that could in many respects have been located in virtually any region of France. As for Provence, it has always been very firmly on the map. While some of the emblematic icons of Provence - the lavender fields or the Mont Saint Vincent so often painted by Cézanne - are or seem specifically attached to this region, others including the olive trees, the dry rocky coastline with its scented stunted pine trees, the evening air filled with the chi-chi-chi of a thousand crickets, and even the villages and vineyards, are actually features that characterise large stretches of the Mediterranean coast and its hinterland, in both France and other countries. So what is it that distinguishes Provence from the rest, and gives it that special stature that it seems to have not just for foreigners, but even for many of the French themselves ? In the beginning there was Provence. Long before France existed, around 600 B.C., the Phocaeans, Greeks from the city of Phocaea in Asia Minor, established a prosperous Mediterranean seaport known as Massilia, today's Marseilles. The Phocaeans are not to be confused with the Phoenicians, great seafarers who possibly had a settlement on the same spot even earlier. The Greek colony of Massilia eventually came under Roman rule, and it was the Romans who gave this region the name by which it has been known for much of the time since then. In the second century, "Gallia Narbonensis", the Roman province covering the south of France from the Pyrenees to the Alps, was so important, and sufficiently close to Rome that it was known in everyday speech as "Provincia", "the province". Or as we know it in modern French, "La Provence". 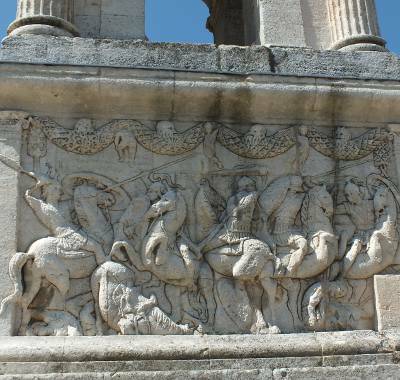 With time, the name became definitively attached to the eastern part of Gallia Narbonensis, the area to the east of the Rhone, whose capital was a town called Aquae Sextiae, the town now known as Aix-en-Provence. Until the fifteenth century, Provence did not belong to France; after the demise of the Roman empire, it was one of those regions that was fought over continuously; the coastal areas in particular were occupied in their time by Visigoths and Ostrogoths, as well as by Catalans and Moors. In the age of Charlemagne, the great European emperor and contemporary of England's King Alfred, Provence formed the southern part of the "middle empire". In the late Middle Ages, the city of Avignon and the area around it belonged to the Popes, who established their palace there. Most of Provence was incorporated into France in 1486. So in historical terms, Provence is older than France itself, and was a centre of culture learning and commerce long before Paris and northern France acquired the territorial importance that they have today. Definition: this presentation covers all areas that are included within the modern administrative region based on Marseilles, plus the area just to the west of the Rhone that is historically and culturally attached to Provence. In administrative terms, today's Provence is part of the "Provence-Alpes-Cote d'Azur" region, often referred to as PACA, one of the 13 regions of contenental France, stretching from the Italian Border to the Rhone. With a population of 4.7 million, it is the third most important region in France and one of the top twenty regions of the European Union. The regional capital, Marseilles, is France's second city (over 800 000 inhabitants) and most important port. 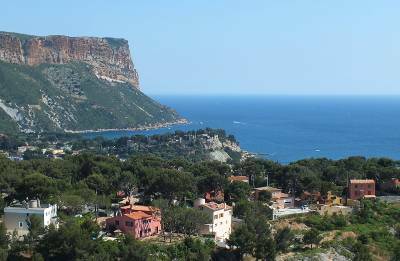 With 1.6 million inhabitants, greater Marseilles is the second largest urban area in France. The region is among the major economic hubs of the Mediterranean, and is particularly important in the sectors of telecommunications (the biggest telecommunications centre in southern Europe), Microelectronics, oil and chemicals, and of course tourism. This is the most important tourist region in France. 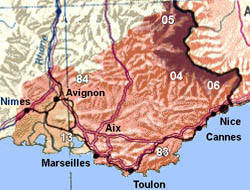 The population is concentrated largely on the coastal strip and in the Rhone valley. Away from these, into the hills and the mountains of high Provence, there are no big cities, and even small towns are few and far between. The largest cities in this region are Marseilles, Nice, Toulon and Avignon. 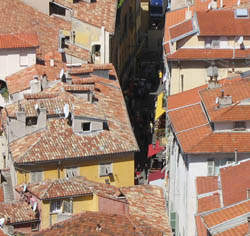 Foreign visitors who learned French at school may find the language of Provence difficult to understand; many people here speak French with a strong regional accent, a reminder that the traditional language of a large part of this region is not French at all, but Provençal, a south-European language resembling Catalan or Spanish more closely than it resembles the French spoken in Paris or the north of the country. In many towns and cities, street names and other signs are written in both French and Provençal. In the east of the region, towards Nice and the Italian border, local dialects and culture are much closer to Italian . 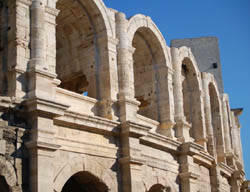 Overall, the cultural heritage of this region is profoundly Mediterranean. Many great French writers and artists have come from or lived in Provence; Frederic Mistral is to Provence what Robert Burns is to Scotland, an iconic national poet who wrote in the local language - in this case Provençal. Other emblematic Provencal writers include the 19th century heavyweight Alphonse Daudet, author of the classic "Lettres de mon Moulin", Marcel Pagnol, and the twentieth century novelist Jean Giono, whose works portray rural life in Provençal Alps. Since the 19th century, many artists have chosen to live in Provence, on account of the light; but Paul Cézanne, one of the greatest of the Impressionists, was actually a native of Aix en Provence.